timber posts. Galvanised post stirrups support protect wood post from corrosion. 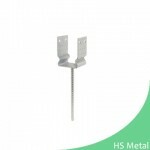 can only be fixed from one side. Holes on the plate, rebar size can be customized. 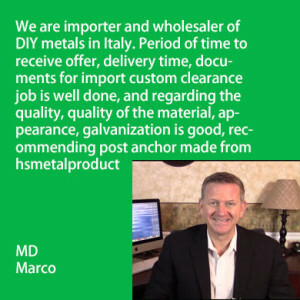 It’s either be hot dip galvanized or zinc plated. 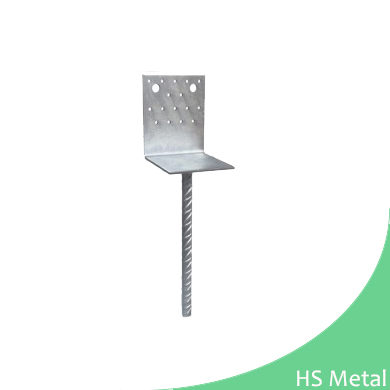 Rebar length : 50-100 mm. All dimensions and shape customization are available. 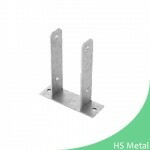 Ground plate length: 70-200 mm. 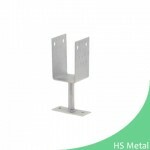 Ground plate width: 35-140 mm. 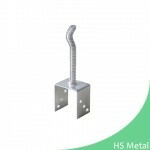 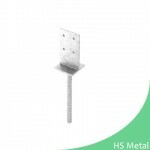 U type post anchor, with various type and all size customization available.